View cart “Black with Bears – Small High Chair Caddy” has been added to your cart. 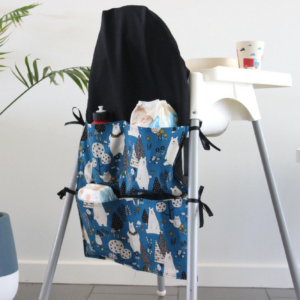 Our Small High Chair Caddy neatly ties over the back of the chair and legs so there are no fussy straps to get in your way. Available in a range of colours and patterns.